The winners of the men's and women's doubles draws earn a main draw wild card into the US Open which also comes with a $15,375 payout per team. The mixed doubles draw hasn't been released yet for I imagine it'll be out on Monday. 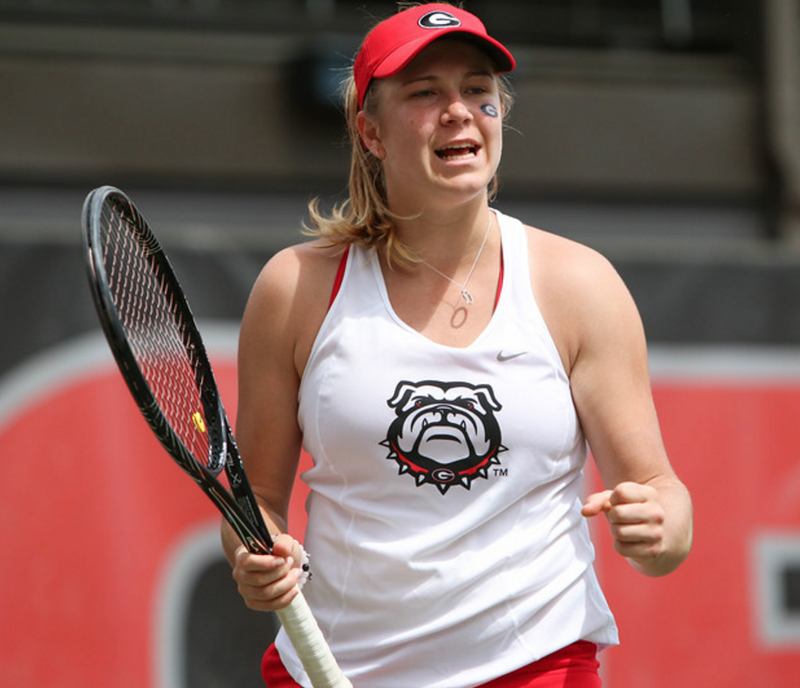 University of Georgia junior Ellen Perez (WTA #725) won a main draw wild card into next week's US Open after winning an Australia Wild Card Tournament that took place over the weekend in Bradenton, Florida. There were five women entered in the draw and Perez was the only one that had to play an opening round match. Perez beat #454 Naiktha Bains 6-2, 6-2 and then beat #204 Arina Rodionova by the same 6-2, 6-2 score. 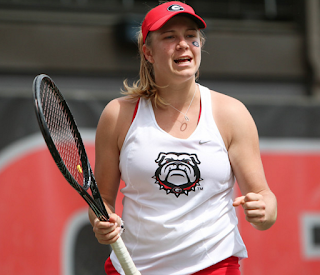 In the finals Perez defeated #301 Ashleigh Barty 6-4, 6-3 to lock up the wild card. The US Open gives a wild card to the French, British, and Australian Tennis Federations with some having wild card tournaments and others just giving it to whoever is ranked the highest. #345 Yannick Hanfmann (USC '15) won his semifinal match on Sunday over #393 Andreas Beck 7-6(5), 7-6(6) but he wasn't able to win his final a few hours later falling to #426 Marc Giner 2-6, 6-1, 6-3. Despite the loss Hanfmann still has a new career high ranking of 338 after his 20 runner-up points from last week were added in.